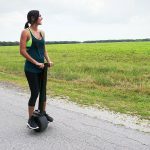 Forget about leg-breaking historic trail walk. 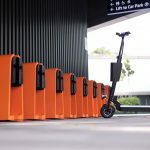 Tokyo has embarked on a one-week trial (5 days) for a “history experience tour” using high-tech 4-wheel electric scooters called Rodem. The service is available for free to tourists visiting Marunouchi district in Tokyo’s business district. 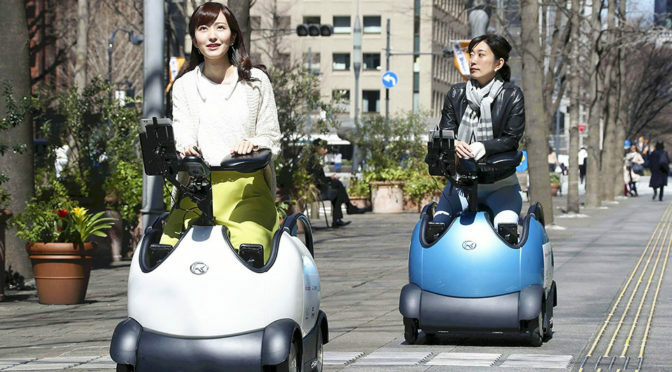 But don’t expect to be roaming freely on these tiny electric vehicle; they are destined for use with prepared tours offered by companies like NTT Docomo and Mitsubishi Estate Co. 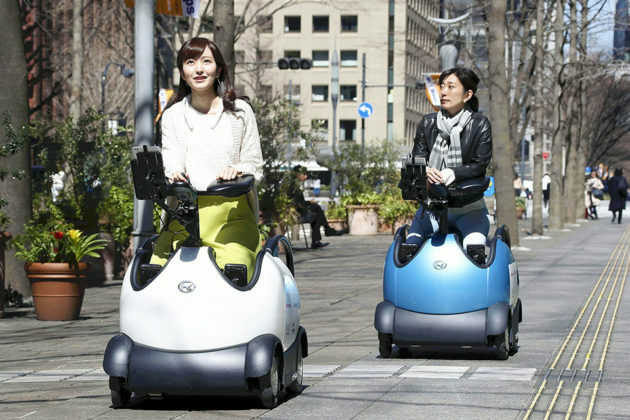 Originally developed by Fukuoka Prefecture-based robotic company Tmsuk Company Ltd. as an electric wheelchair for nursing care, each sidewalk-plying Rodem is outfitted with tablet that will serve up explanation of historic architecture in video format as the tourist takes a ride along the district. In addition, user can also hold up the tablet to display information on nearby restaurants and shops facilitated by augmented reality technology. 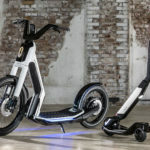 The EV is operated using a joystick like the the wheelchair variant it is based on and shares the same top speed of a briskly 6 km/h (3.73 mph). Only three vehicles are being used for this trial which kicked off on Monday, daily from 10AM-5PM, until Friday. We picked up the news from The Japan News on March 19 and so, we are not sure Monday referred to the 18th, or 25th. Whatever it is, we know now electric mobility is going to change the tourism industry too. Images and source: The Japan News.